Ynvisible integrates electrochromic displays on a variety of materials, turning them into interactive screens at a disruptively low cost. 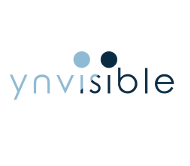 Ynvisible is a spin-out of YDreams, and was recently quoted in the Toronto Venture Stock Exchange (TSXV:YNV). Ynvisible is an active portfolio company of AVP II.